The family tree of Tyrannosaurs over more than 100 million years will be explored at the National Museum of Scotland in Edinburgh.’ Pic: James Morgan. Scotland’s most popular visitor attraction has secured a blockbuster international exhibition celebrating the world’s most feared dinosaurs. The family tree of Tyrannosaurs over more than 100 million years will be explored at the National Museum of Scotland in Edinburgh. 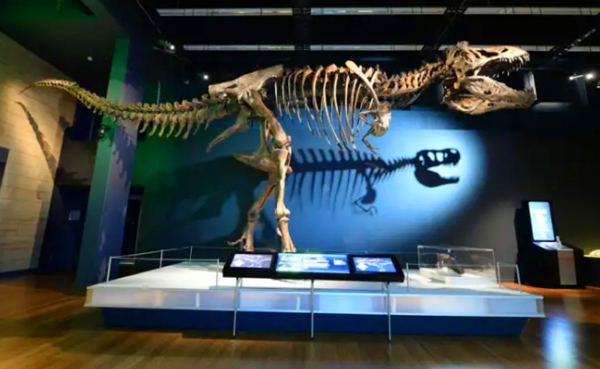 Fossils, casts of specimens and models of the “T rex” and its ancestors will go on display in Europe for the first time when the show, which was originally created by the Australian Museum in Sydney, opens in January 2020. The exhibition will offer an insight into the diversity of Tyrannosaur skulls and what variations in structure tell experts about different hunting and feeding strategies of the dinosaurs, as well as challenge long-standing perceptions about the predators. Visitors will be able to take part in an “augmented reality” experience in the exhibition which will allow them to play with life-sized dinosaurs and see new models of feathered dinosaurs. Other key features are expected to include giant digital screens dominated by recreations of the various “family members” and a multi-player gaming table. Billed as “the most comprehensive exhibition ever mounted on Tyrannosaurs,” the show will recall some of the most significant findings from research carried out over the last decade, including the discovery of several new species. The show, which will run for almost four months in Edinburgh next year, has also been staged in New Zealand, the United States and Canada, and updated extensively since its launch in 2013. A spokesman for the National Museum said: “While the most famous of the species is the mighty T. rex, tyrannosaurs came in all shapes and sizes, and their history extends over 100 million years.